Over the Christmas period you will have seen the first very obvious and practical achievements of the newly established community group The Floral + Festive Light Displays Group, with the introduction of a Christmas Tree and festive lights in Weavers Square and festive lights at Colden. 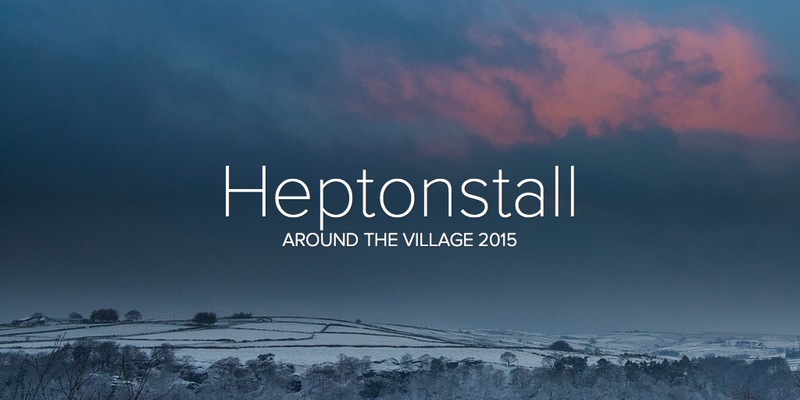 You will soon be able to see the outcome of work by other members of your local community in The Communications Group with the updating of the Heptonstall Website and a refreshed quarterly Parish Newsletter. Members of The Traffic, Parking + Road Safety Group continue to be involved in discussions and negotiations with Calderdale Council and others, looking at possible action on those issues. The Good Neighbour Scheme Group meets again on 23rd January to discuss options, including possible joint support service initiatives with Calderdale Council, the NHS and/or local voluntary organisations. Progress has been made by community members in The Information Boards + Signage Group, with grant funding options identified and discussions underway with Calderdale, Pennine Housing and others to consider suitable content and siting of Visitor Interpretation (Information) Boards alongside improved tourist type signage in the village. Whilst limited progress has been made to date, initial research is being undertaken by commmunity members in The Cobbling Side Streets Group exploring the possibility of re-cobbling one (or more) of our historic village side streets. We had been disappointed by the lack of volunteer interest in The Clean-Up Group and had decided to put it ‘on the shelf’. Then, happily, a member of your community, seeing an amount of litter around the village following the recent strong winds (and recycling collection) has now taken it upon himself to initiate an impromptu village clean up. He is busy recruiting friends and neighbours to assist, whilst Heptonstall Forward is providing litter pickers and gloves. A number of you will know Mark Simmonds, who was instrumental is setting up the Heptonstall Allotment Garden Society (HAGS) and agreed to take a lead role in establishing The Green + Environmental Group. Unfortunately, Mark’s many other commitments to local projects (including the local Orchards Group), as well as his own work commitments, have resulted in a delay getting started. He plans to set up a public meeting in the near future and is asking if anyone else might be prepared to help by taking on more of a lead role. Members of The Annual Parish Event Group have been involved in preliminary discussions with Heptonstall Primary School to look into the possibility of holding a joint community event with them – an extension of their planned ‘school re-opening’. This has been received very positively, so further work will take place to plan an event, once the final completion date has been confirmed. Hopefully, if successful, this will provide a template for a more regular (annual) child and family focused celebration. There have been only a few enthusiastic members of The Young People (+ Children) Group and, whilst establishing a new local Youth Club has been considered, numbers of available adult volunteers are currently too few to make this a realistic option – at this stage. We now have about 2 dozen additional members of our community who are playing an active role in taking these various projects forward – but we still need more people to come on board. If you are willing to help with one or more of the projects above then please do contact Heptonstall Forward in the first instance, and we will put you in contact with the individual community groups. This entry was posted in Heptonstall Forward. Bookmark the permalink.